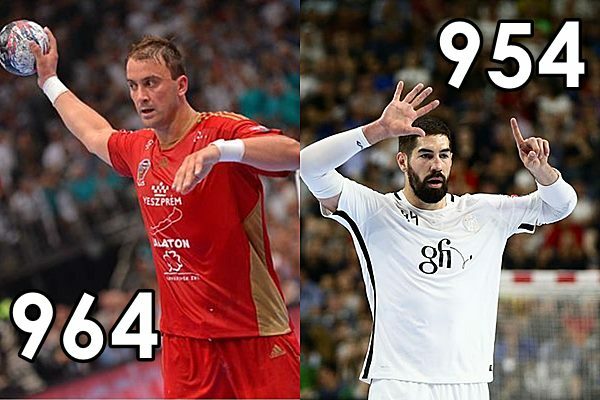 Home / News / EHF / ILIC VS KARABATIC: Who will be the first in “CLUB 1000”? Although VELUX EHF Champions League has incomplete statistics for period between 1992 and 2000, there is no doubt that only few players could come close to reach mark of 1000 goals in European elite competition. One of them who did it a few years ago is Macedonian TOP star, Kiril Lazarov, who netted 1194 times until now in his almost two decades of playing at EHF Champions League (without data for two seasons with RK Zagreb). TOP stars who will follow his soon in “CLUB 1000” are Momir Ilic (Telekom Veszprem) and Nikola Karabatic (PSG Handball). The 36-years old Serbian left back netted 964 goals in jerseys of RK Gorenje Velenje, VfL Gummersbach, THW Kiel and Telekom Veszprem. There are still at least nine matches in current season (with TOP 16 which is almost secured) for fantastic shooter to open a new chapter of handball history. 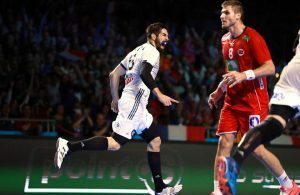 Three years younger Karabatic (34), one of the greatest players ever, is currently on 954 goals scored with Montpellier Handball, THW Kiel, FC Barcelona Lassa and PSG Handball. Let’s follow this race until the end of the season. ← Previous Story IHF plans to give Olympic place to USA?